Happy Monday, everyone! This weekend was such a good weekend in terms of relaxing. I slept in till 10 both days and let me tell ya, it felt great and was much needed! 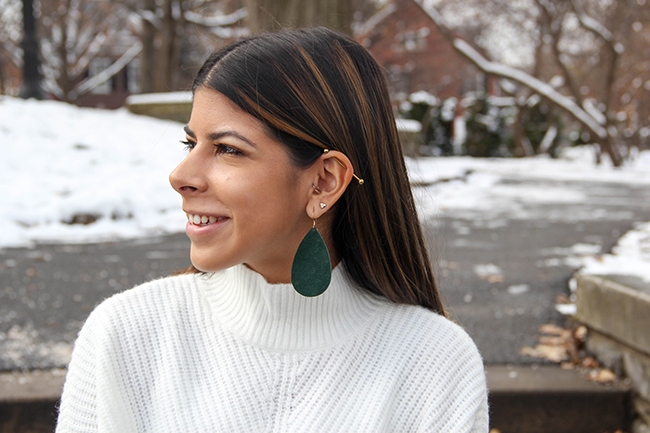 Today on the blog I wanted to share a new, favorite earring brand my aunt introduced me to. They are the best! 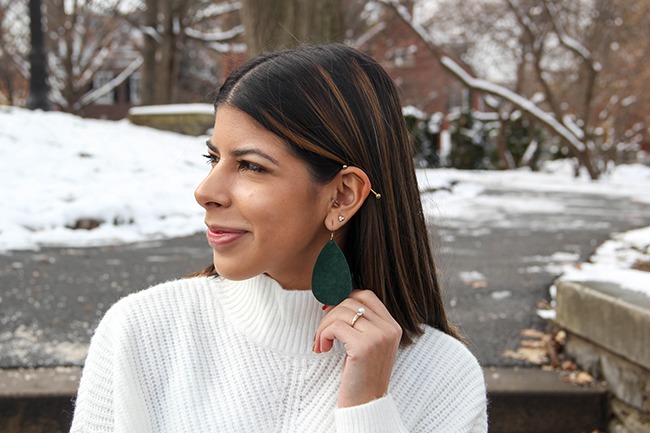 A lot of the cute statement earrings I find are heavy, but these are extremely lightweight which is amazing. 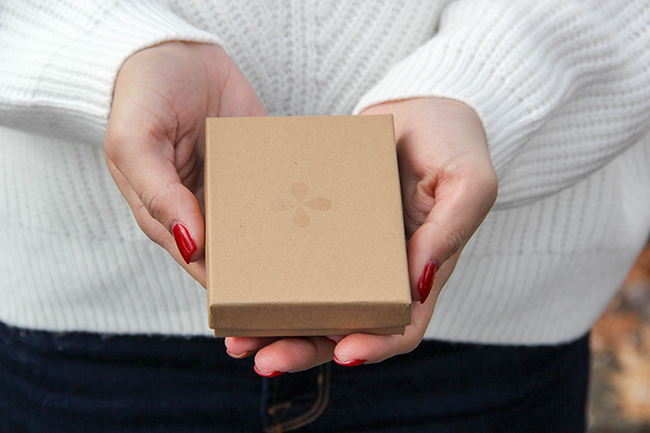 Majority of them you can buy in three sizes--small, medium, and large. I'm wearing a medium, which is my personal favorite. 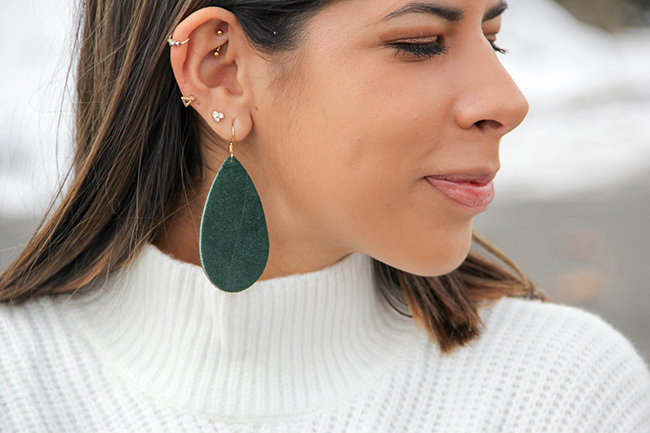 The emerald suede also makes the perfect holiday earring. I decided to use them to add a pop of color with a white sweater and some gold sparkly flats. 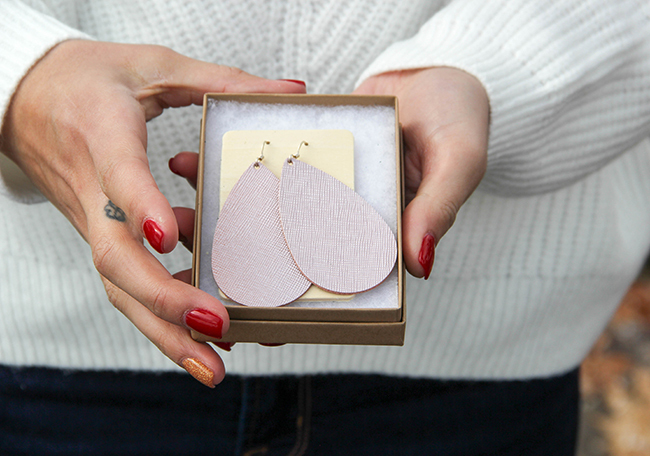 For one of my fun Christmas giveaways, I'm giving one lucky reader a chance to win a pair of Nickel and Suede earrings. Color and style of their choice! Head over to my Instagram to see how to enter. * This post was not sponsored by Nickel and Suede, nor is the giveaway. I just genuinely love this brand.